^ Quick Opera Facts 2007. OPERA America. 2007 [2007-04-23]. （原始内容存档于2006-10-01）. ^ Alain P. Dornic. An Operatic Survey. Opera Glass. 1995 [2007-04-23]. ^ Catedrale di S. Martino. Centro di Studi Giacomo Puccini. [3 November 2012]. ^ 4.0 4.1 Dry, Wakeling. Giacomo Puccini. London & New York: John Lane. 1905. ^ Streatfield, Richard Alexander. Masters of Italian music. C. Scribner's Sons. 1895: 269. ^ Girardi, Michele. 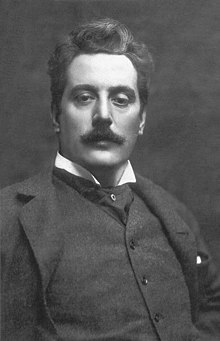 Puccini:His International Art. Chicago: University of Chicago Press. 2000. ^ 给《图兰朵》续曲的中国人. 环球在线. 2008-04-21 [2011-12-22]. Lynn, Karyl Charna. Italian Opera Houses and Festivals. Lanham, MD: The Scarecrow Press. 2005. ISBN 0810853590. Puccini, Simonetta (ed.). Giacomo Puccini in Torre del Lago. Viareggio, Tuscany: Friends of Giacomo Puccini's Houses Association. 2006. Phillips-Matz, Mary Jane. Puccini: a biography. Boston: Northeastern University Press. 2002. ISBN 1555535305. Puccini Vocal and Instrumental Music. Centro Studi di Giacomo Puccini. [2008-02-06]. （原始内容存档于2008-04-13）. Puccini Operas. Centro Studi di Giacomo Puccini. [2008-02-06]. （原始内容存档于2008-04-14）.